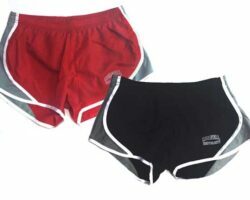 Fashionable woman’s boxers features a 1″ inseam, false fly with buttons and comfy fit. Constructed from 100% VERY SOFT FLANNEL , imprinted “Cornell University” on the inside elastic, “Big Red” outer graphic. Perfect for lounging around, day or night!